Chronic sleep problems affect up to 80% of the clients in your practice, and sleep disorders are particularly common in patients with trauma, anxiety, depression, and chronic pain. That's why we created a FREE high-quality visual filled with tools and strategies to help your clients get a better nights' sleep — because feeling rested is the key to becoming emotionally more resilient and physically healthy. This tool and FREE to download and share. >Click here to get your copy. 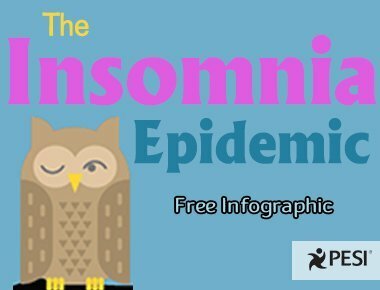 PS...Looking for more ways to tackle insomnia? We just opened registration for our new online certificate course: Cognitive Behavioral Therapy for Insomnia. Click here to learn more and get exclusive savings on registration.